Your Welcome but I was just speaking the truth. You could truly have anyting you want in time. Always keep up the good work but your natural beauty has given you a great edge! Hey Tessa!! Always so nice to drop by and visit your port!! Tessa is one of the most beautiful young models I have seen in a long time. I think she will have a long career in modeling and anyone should be honored to shoot with her. wanna shoot underwater with me this summer? 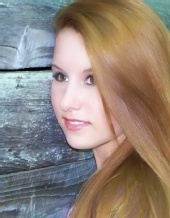 Thank you Tessa, You are gorgeous and have a wonderful portfolio!! Hope you have a Merry Christmas and a great new years. Thank you so much for the add, I look forward to seeing your progression and more of your artistic works. you have a fabulous photgraphers, by the way..